Watching your children blossom is thrilling. Your heart swells with pride as they take on new challenges and grow as unique individuals. The strong foundation of confidence, high expectations, and self-advocacy that you have fostered in your child will make this time of intense transition, especially for young people with Down syndrome, that much easier. A teenager with Down syndrome is much like any other teen. Issues of sexuality, bullying, peer pressure, and school stresses are just as dramatic for a 14-year-old with Down syndrome as they are for their peers. 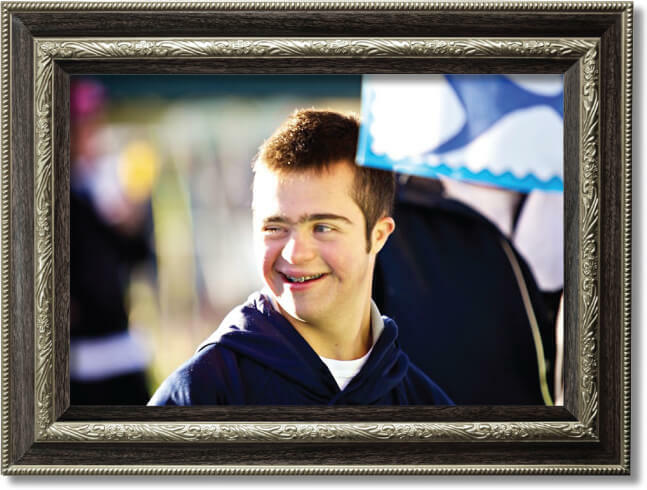 But because that 14-year-old with Down syndrome has different cognitive, coping, and processing abilities, care and consideration must be viewed through a different lens. Contact us for resources on sexuality, higher education, transition, and future planning. This stage can also be challenging for parents as it can be a time when issues of long-term/life-long guardianship are addressed. We connect families with services that help with long-term financial planning, legal issues, education, and much more. RMDSA offers a class on Sexuality and Puberty by a trained instructor. Call us at 303.797.1699 for resources and more information.